If you're printing from home, you'll need a high-quality inkjet paper to achieve fantastic results. If you’re printing from home, you’ll need a high-quality paper to achieve fantastic results. But which do you choose and how can you get the best prints possible? We take a look at six paper choices with an attractive lustre finish. 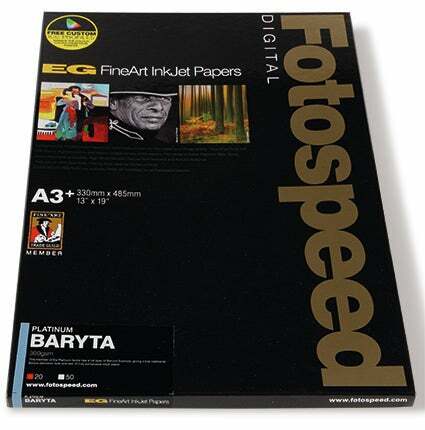 If you crave a traditional darkroom finish to your prints, you’ll want to look at a Baryta media such as Fotospeed’s Platinum Baryta paper. For those unfamiliar with the word Baryta, it stands for barium-sulphate, a clay-like material that’s used as a coating to hold a chemical emulsion and provide a smooth, reflective finish that’s in between matt and gloss. The finish of Baryta can be described as being similar to lustre, though it’s frequently used with optical brighteners to increase the whiteness of the media and extend its tonal range. This inkjet paper produces smooth transitions between delicate highlights and the deepest blacks in an image, and is suitable with all commercial thermal and piezo water-based printers, such as Epson, Canon, HP and Kodak. The paper density is 300gsm and it’s available in many sizes from A4 to A2, including 15m rolls. 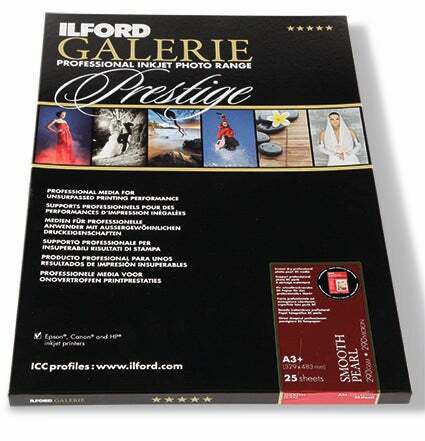 Expect an A3+ box of 20 sheets to cost around £56 (£2.80 a sheet) and Fotospeed offers an ICC profile for Epson, Canon and Fotospeed inks directly from its website. 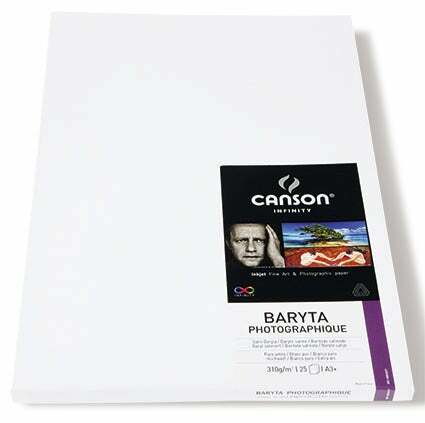 Just like Fotospeed’s Platinum Baryta media, Canson Infinity’s Baryta Photographique paper features a barium-sulphate coating to give it the look and aesthetics of an original darkroom print. The inkjet paper is acid-free to avoid degradation from its surroundings and is also internally buffered to resist gas fading and maximise the longevity of your work. Adding to this, it features optical brightening agents to increase the whiteness of the media and is optimised for pigmented inks. The big advantage is the speed at which ink dries on the surface. Prints are ready to touch as soon as they land on the print tray, so there’s no frustrating waiting period before you can frame or mount your work. With impressive control in the darkest shadows of our test prints, it’s complementary to black and white photography, as well as colour. 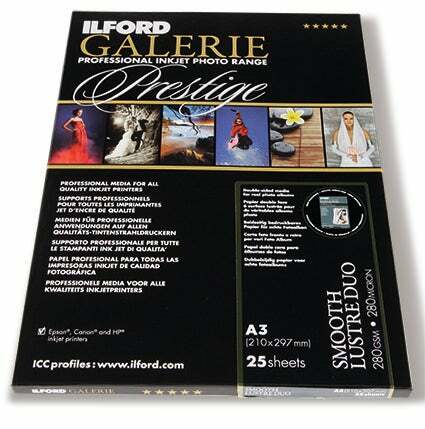 Thicker than Fotospeed’s Baryta paper, it comes in sizes from A4 to A2 and rolls for large format printers. A box of A3+ (25 sheets) will set you back £65 (£2.60 a sheet) and an ICC profile is available to download. PermaJet’s Oyster 271 paper stock has a subtle lustre finish and is claimed to be one of the whitest surfaced papers on the market today. It’s a resin-coated media, which brags Permajet’s advanced multi layer technology that features a UV protective microporous supercoating to give it a high degree of water and fade resistance. Suitable for use with dye and pigment inks, as well as colour and black and white images, the paper works out slightly thinner than some of the other media in this six-pack group. It has a base weight of 271gsm and as with all pearl and lustre types of finish, the printing side is identified by moistening the edge of the paper. The printing side will appear slightly sticky when moisture is applied, but provided you keep the paper in the box as it’s supplied, you’ll know the printing side faces up out of the box. It’s offered in sizes from 6x4in to A2, with 30m rolls available too. A box of A3+ (25 sheets) costs £30, so each sheet is worth £1.20. An ICC profile is available to download, but you’ll need to sign up to access it. This smooth pearl paper falls into Ilford’s Galerie Prestige range and has a similar finish to PermaJet’s Oyster 271 media. The key difference is its base weight. It’s fractionally thicker, but is also available in 310gsm if you’d prefer. It features Ilford’s latest nanoporous coating that’s intended to produce prints with greater clarity, better sharpness and an excellent colour gamut. Ilford recommends the best results will be obtained with pigment inks, though it’s suitable for use with both high-quality dye- and pigment-based inkjet printers; and it has the advantage of being instant drying, which we discovered when running out our test prints. In the hand this resin-coated paper has an extremely smooth feel. It’s easy to tell which is the printable side, and as with most papers, the printable side is face up when you open the box. It’s available in sizes from 6x4in to A2, and rolls for large format printers are also available. 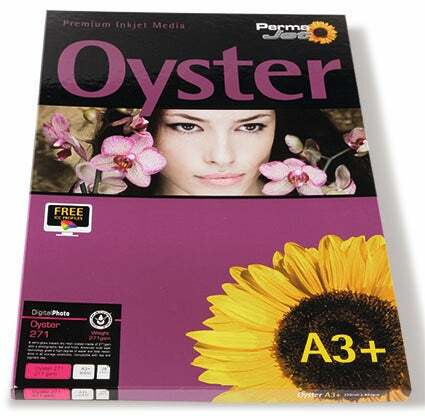 A box of 25 sheets in the A3+ size costs £30, equal to £1.20 per sheet. As we discovered, the ICC profile is also quick and easy to download. Ilford’s Smooth Lustre Duo paper shares likenesses to its Smooth Pearl media. It’s in the same Galerie Prestige range and it has a similar base weight of 280gsm. The main difference between this media and others is that it’s double-sided. This makes it suitable for many different purposes, such as saving the hassle of printing two sheets when mounting work within transparent portfolio sleeves. 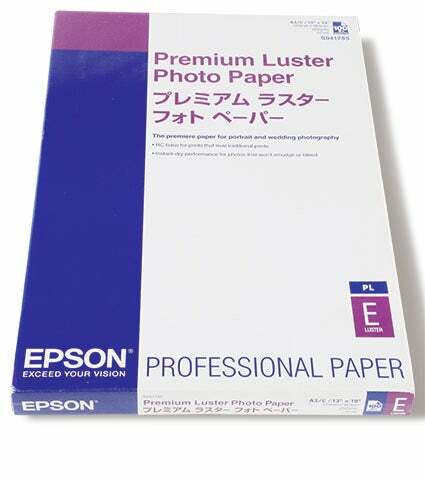 What’s more, it’s a paper that could be good for wedding albums or premium invitations, but it won’t give you the same durable feel as the thicker Baryta papers offered by Fotospeed and Canson. The finish of the paper is to an extremely high standard, and it’s capable of producing excellent levels of detail in dark shadowed areas, with impressive control in the brightest highlights too. Created for Epson, Canon and HP inkjet printers, it’s available in three different sizes – A4, A3+ and 12x12in. If you opt for a box of A3+ you’ll get 25 sheets in a pack for £40, which works out at £1.60 a sheet. An ICC profile is also made available. Epson’s Premium Lustre media falls into its professional paper range, and has a base weight of 240gsm, making it noticeably thinner than some other inkjet papers in this round-up. Though it’s not as durable as 300gsm or 310gsm papers, ink doesn’t bleed when it comes in contact with water. Just like all of the other media we’ve tested, the ink was dry to touch straight after printing, but Epson does recommend that 24 hours are given before the ink is cured and durable. Suitable for use with Archival, UltraChrome and dye Epson inks, the paper produced excellent colour reproduction. A comparison with our other prints, however, revealed the paper didn’t retain as much detail in the darkest shadows, although the detail in the highlights was comparable. It’s available in sizes from A4 to A2, with various rolls offered for large format printers. If you’re after A3+, this is usually sold in 100-sheet boxes for £116, working out at £1.16 a sheet, or £29 for 25 sheets. Those using an Epson printer will find the profile is already pre-installed and ready to use from the profile list.